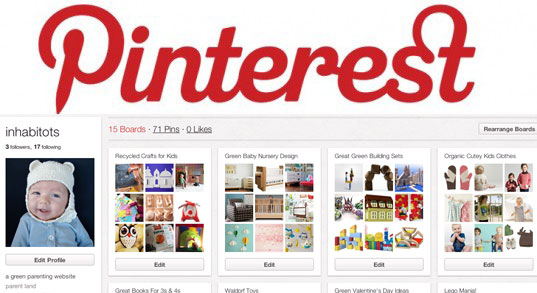 Follow Inhabitots on Pinterest for Awesome Green Kids Tips, Products and Toys! Hey eco mamas and green dads – have you heard the news? Our kids and parenting site Inhabitots is now on Pinterest – and we’ve been pinning up a storm of goodness for green tots – from green toys and recycled craft DIYs to baby products and Waldorf toys. If you haven’t checked Pinterest out yet, we’re inviting you to join in on the fun and take a look at all of our Pinterest boards today! Hey eco mamas and green dads - have you heard the news? Our kids and parenting site Inhabitots is now on Pinterest - and we've been pinning up a storm of goodness for green tots - from green toys and recycled craft DIYs to baby products and Waldorf toys. If you haven't checked Pinterest out yet, we're inviting you to join in on the fun and take a look at all of our Pinterest boards today!